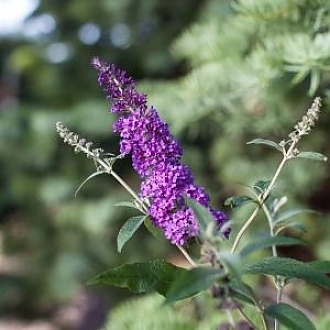 Psychedelic Sky™ Butterfly Bush produces fragrant blue flowers that attract butterflies. It as a rounded, upright, tidy habit and the flowers bloom on upright stems in Summer. The blooms will continue into Fall if regularly deadheaded.